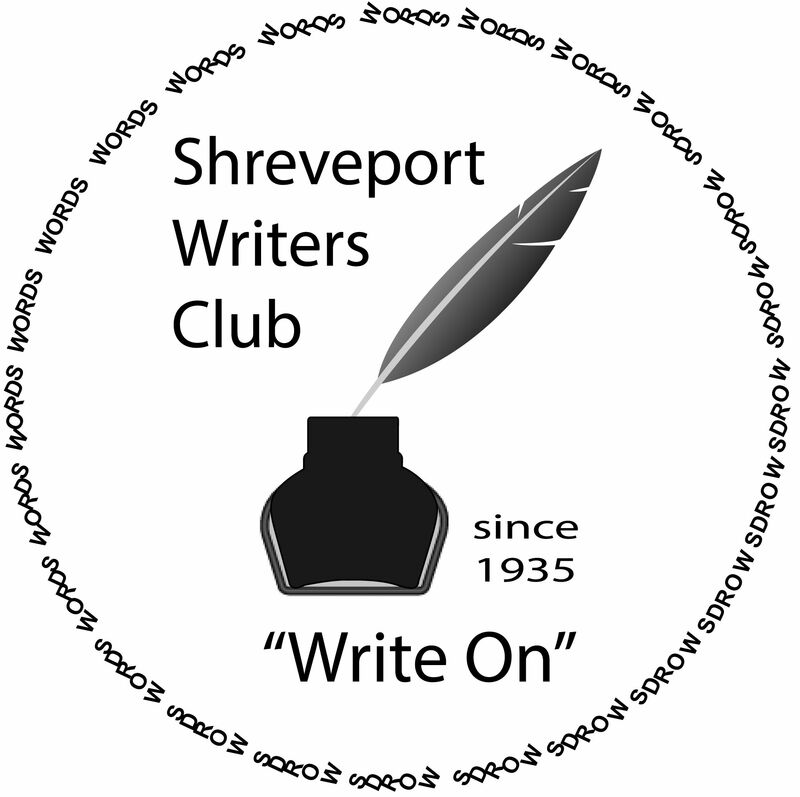 The Shreveport Writer’s Club met for their regular monthly meeting on April 6th at Shreve Memorial Library–Broadmoor branch. After greeting visitor, Jim, Jade and Ron, the club awarded a Making the Mark award to Ken Shively, who shared his work in a genealogy group. The Making the Mark award is to recognize members who have submitted work to contests or publications in the previous month. Next, the writers discussed business including the upcoming Writer’s Medley. The date was previously confirmed, but a scheduling conflict with the venue was discovered. The date for the next Writer’s Medley is still being determined. The writers also discussed asking a visual artist to collaborate with the group. The idea being to produce writing pieces that correspond or respond to the art. Finally, the group participated in the Round Robin portion of the meeting. Here members are given the opportunity to share a piece of their work. Since there were a few extra minutes left in the meeting, the writers added some critique time as well. NOTE: The next regularly schedule Critique Group meeting has been cancelled due to the Easter holiday. Happy New Year! Best wishes for a prosperous, productive new year of writing and reaching your goals from everyone at Shreveport Writers Club. The January meeting of Shreveport Writers Club was held Saturday, January 5 at Shreve Memorial Library, Broadmoor Branch. First, the Making the Mark Awards were acknowledged. Two members received congratulatory pens for submitting works for publication within the past month. Next, the group moved on to the Flash Writing Exercise. The writers were asked to write for ten minutes on these topics: It’s MAGIC, New Year New You, I’d rather just forget, Maybe it’s for the best, or the topic of their choice. Those who wanted to, shared the results of this quick writing exercise. Next, came the business portion of the meeting. Branching out, reaching out to more writers and how to improve participation and attendance at monthly meetings was discussed at length. One of the suggestions was to post more in the Facebook group, offering discussion topics, news and sharing local events. Members also discussed organizing informal meet-ups, group activities and holding additional meetings in the evening. The writers also participated in another group writing exercise. Participants were asked which stories they would like to see reimagined or remade. A fun, lively discussion followed. The Round Robin Reading portion brought the meeting to a close. Several members shared their latest works. The Shreveport Writers Club Critique Group will meet at Retro 521 Café in Bossier, 521 Barksdale Blvd on Saturday, January 19th from 10 am to 12 pm. Members and guests are encouraged to bring work to read and have critiqued in a safe, supportive environment. The critique group is intended to be helpful and to offer constructive feedback to authors on their writing. Even if you don’t have a piece to have critiqued, please come and offer your support and suggestions to other writers. The next meeting of Shreveport Writer’s Club will be held on Saturday, February 3rd in the Reading Room of Shreve Memorial Library’s Hamilton South Caddo Branch. Special guest will be Author Maple Sudds, reading selections from her book No Blood in the Turnip. This promises to be a special occasion and all are welcome to attend and participate in the question and answer portion of the meeting after Mrs. Sudd’s reading. NOTE SPECIAL TIME: This meeting will begin at 11 am. More details to follow.